Today, Bethesda ended their E3 conference with a full first look at Fallout 4. If all they showed didn’t make you scream in glee, with all that customization and that awesome Pip Boy edition, they revealed that Fallout 4 hits the PC, Xbox One, and PS4 on November 10. The fourth numbered installment in the legendary series will come with all sorts of new features, from modding and fully voiced protagonists, and it all looks freaking spectacular. 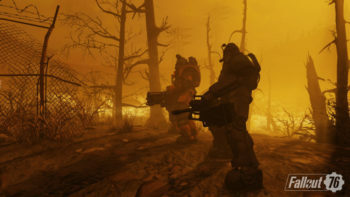 All we have to do now is wait for the next five months to get our Fallout on. Yay…hope no bombs drop by then!